There are two words that might come to mind when hearing the new multiplayer online battle arena (MOBA) game called Bierzerkers. The first is “berserk.” The other is the German word for that great-tasting, nectar of the gods beverage made of fermented barley. 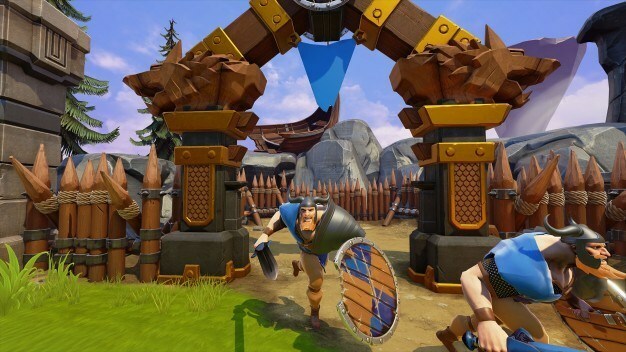 That is exactly what can be expected from such an aptly titled game from Shield Break Studios. Bierzerkers has the strong Viking men and women, all the elements of a good battle arena games, and of course, the unlimited supply of beer. Bierzerkers seems to be an easy-to-pick-up type of game. After entering a server, a game is automatically launched and the choice of classes is presented in the next screen. The choices are for different MOBA roles: melee, ranged, and support. 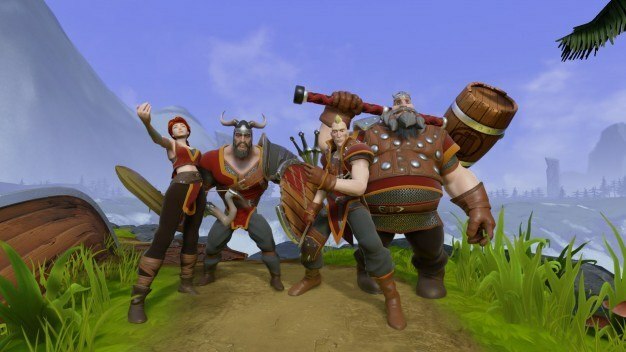 At the moment, the choices are two classes for the melee and ranged roles and one for the support role, but Shield Break Studios is working on creating more in the future and will be released with the full version of the game. Since the theme of the game is centers around Nordic elements, the classes are based out of Vikings. The warrior, all wear the symbolic helmet with tusks on the sides and some wear spiked shoulder pads. 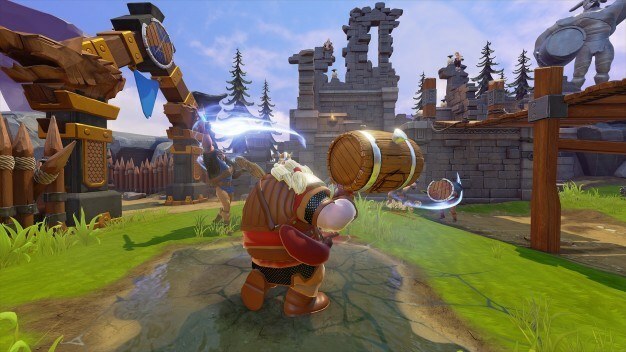 Another prevalent theme is beer, and kegs of it are littered all over in the battle arenas. They serve as health-replenishing items, since the game is set in the afterlife. Yes, in Bierzerkers, heaven is a constant battlefield. There are two different types of multiplayer games at the moment: team battle and capture the flag. These are the standard of any typical MOBA game. What makes Bierzerkers stand out, however, is how the classes’ special skills put a depth on how the games are played out. The drunkard class, for example, can be a critical component to a team battle; he can provide constant healing with the beer keg he carries around and unleash a devastating area of effect attack on a tight spot. The Valkyrie is a great support class; she can provide a shield to an ally that can withstand attacks and create a wall of clones to shield a larger area. What most games end up happening is a sort of strategic plan of attack. It can be very fun with a full group of teams on both sides. The game, however, creates artificial intelligence (AI) classes if a server is not full, and the AI can be quite dull. Hopefully, Shield Break Studios can improve the AI when the full version is released. The only single-player game right now is a survival mode, where waves of zombies will try to whittle down a player’s health until defeat. This mode is great for trying out a class’s special skills as well as strategies on how to effectively use them. It acts as a training mode for the multiplayer action. 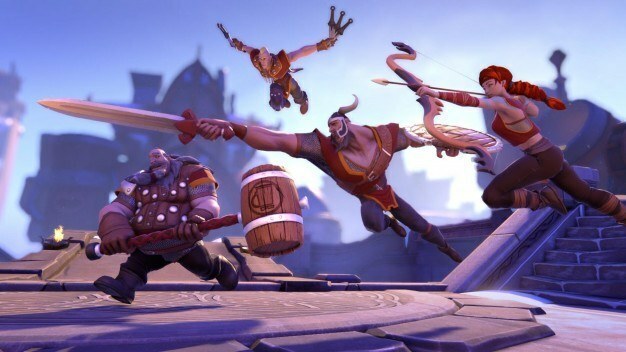 Overall, Bierzerkers is a satisfying MOBA game that is very easy to pick up. Currently, the game is on Steam as an Early Access game, and the team on Shield Break Studios is using suggestions from those who are playing the game as possible improvements for the full version. To find out more about Bierzerkers, visit its Steam page.